The predicted labor shortage has not materialized. The “boomers” are staying employed, hoping for retirement portfolio recovery. The Labor Force Participation Rate reports that baby boomer employees will rise by 7.6%, while Generation Y employees will drop by 1.5% in the next 5 years. The economy has caused tremendous slow down in retirement plans and generational challenges are not going o away. Understanding and acknowledgement of the differences in the generations must be managed. Deborah Gilburg of Gilburg Leadership Institute, states the GenY’ers are “the most high-maintenance, yet potentially most high-performing generation” (1) ever. Our senior staff needs to direct, guide, and mentor these high-performers in the direction that accomplishes the business goals. Given the wisdom and support of older generations, Generation Y can become a catalyst for a better future—we have no other labor pool to choose from. United States. Department of Labor. Bureau of Labor Statistics. (2011). Labor Force Participation Rate. Gilburg, D. (October 26, 2007). Management Techniques for Bringing Out the Best in Generation Y. CIO.com Retrieved from http://www.cio.com/article/149053/Management Techniques for Bringing Out the Best in Generation Y. When will the massive retirements come as predicted? Since baby boomers have longer life expectancies, have not adequately prepared for financial needs, have a higher retirement age (67 vs 65); their retirement dates are pushed back. Targeting a retirement date based on “vested” pension service rarely exists now due to the hit on pension programs. Boomers are staying longer to recover some of their loses. With all the negative impacts, I for one am adding another 5 years to my own retirment date. Based on 2010 Census data, I’m predicting that 2020 will see a wave of heavy retirements. The Baby Boomers are going to have to retire soon and they will be leaving many high paying positions. As the baby boomers — born between 1946 and 1964 move into retirement, employers will be racing to fill the positions they vacate and to provide for the needs of America’s fast-graying population. So why wait for them to move on to their retirement homes? Study something that will be in great demand. During the next decade, the greatest need for higher-skilled workers will be in health care, education, accounting and computer services, according to the Bureau of Labor Statistics. “Over the next three years, there are three areas we’ll see in high demand: accounting and auditing, health care and Internet technology,” Pogorzelski said. Right now, “it doesn’t seem the occupational trends can keep up with demand.” The demand for accounting and auditing is driven mostly by two things: corporate compliance with tougher financial regulations and baby boomers’ demand for retirement services, he said. (Richards) Be proactive and try to plan ahead instead of trying to play catch-up later. Richards, Meg. (2006, May). Job market to boom as baby boomers retire. Retrieved January 31, 2011 from http://www.seattlepi.com/business/269330_hotjobs08.html. Does anyone believe that Baby Boomers will really retire or will do move to another occupation? Many of the baby boomers nearing retirement have reconsidered their options. According to John Gallagher, “America is already facing a skills shortage, because of a lack of people trained in technical and scientific fields. That will only get worse as boomers retire.” Gallagher also points out in his article how newer generations are more motivated to work for selfish reasons versus doing well for the community. Demographer William Frey stresses the importance of realizing how unattractive retirement seems for the baby boomer generation, “Boomers are the most educated to come into that age generation up to this date. Many more of them have had professional jobs. That means they’re going to want to stay engaged.” This goes on to prove that the baby boomer generation values where they have come to in life taking pride in the jobs they maintained, and not wanting to see less experienced and dedicated youngsters take over. Generation Y are dealing with a really tough situation, maybe even the toughest for any generation. Through out the year’s people graduating with engineering, computer, medical profession, etc. are almost guaranteed a job. A lot of people say Generation Y is expecting a job and feel like the world owe them one, and in the real world yes they deserve a job. The baby boomers, in a healthy society should be retiring soon and handing the torch to the next generation but because of the harsh economy people are holding on to their job for as long as they can. The dream of retiring at 50-60 year old, buying a fancy car and living on the beach is not very realistic these days. On the other side, “They’re young, smart, brash. They may wear flip-flops to the office or listen to iPods at their desk. They want to work, but they don’t want work to be their life” This is Generation Y as said by Stephanie Armour, USA TODAY. Their hard workers but they don’t want work to define them. Is Gen Y so different from their “Baby Boomer” parents? ya i think so, i mean they want more for less, but also the situation they are born into is different too. The world has change and they change too. I think the absence of Baby Boomers in the workforce will be a slow and gradual process. Both from an economic and functional standpoint, boomers need business and businesses need the experience of baby boomers to operate. In the future, the baby boomers will continue to be resilient in the job market and in other areas of their lives just as they have been in the past. Thanks for sharing this great information! Become a Facebook fan for discounts, information and more! Thanks for your comments and hope you will participate in the future! Organizations will be able to handle the exodus of Baby Boomers because they will not all leave at once. Many will be forced to stay on because they failed to properly prepare for retirement. Others will stay because they simple cannot “retire” and will want to occupy their time constructively by working part time (Reuters, 2011). Those who are prepared for retirement may wait to retire due to fears of economic woes, rising healthcare costs, Social Security concerns and outliving retirement savings. Those who do retire shouldn’t have a problem passing the torch on to the next generation. Seniors today live more active lives and many will see retirement as a chance to pursue activities they haven’t been able to do. I do think the Baby Boomers will take the opportunity to mentor the upcoming generation to prepare the next generation of future leaders. The retirement of baby boomers is becoming a burden on companies. Although organizations are preparing for their leaders retirement by hiring talented Gen Y individuals, they are finding it difficult to retain them because “there is no room to promote your up and coming employees” (Mincer, 2010). With Gen Y’s high expectations for quick advancement, they will not hesitate to go elsewhere if companies fail to provide this; leaving companies in a state of disorder when their senior staff retires. In the past, companies remedied this by offering early retirement packages. With the downturn in the economy, this is not an option. On the contrary, other companies want talented seniors to stay on board past their retirement age. “This means employers will have to raise wages and offer benefits and other enticements to keep the most productive workers on staff” (2007). Will they live to regret this? We will have to wait and see. Mincer, Jilian. March 23, 2010. Firms Struggle When Workers Don’t Retire. Dow Jones Newswire. http://finanicaladviserblog.dowjones.com/blog/stay-ahead-of-your-clients/firms-struggle-when-workers-don’t-retire . February 1, 2011. July 10, 2007. Economy to Struggle as Baby Boomers Retire. The Wasthington Times. http://www.watchingtimes.com/news/2007/jul/10/economy-to-struggle-as-baby-bommers-retire . February 1, 2011. Organizations will be able to cope if they are currently grooming their next generation of leaders. We are continuously seeing progressive training programs in various workplaces throughout the world. For example, many companies are heavily relying on social media, video games and other technology-based approaches to better train younger employees (Garrity, 2010). Boomers may be reluctant to hand over the reins of organizational power if there is a lack of trust in predecessors being ready for the responsibility and challenges ahead. Mentoring programs with veteran employees and new hires may be an option for companies. Another reason for their reluctance is directly related to savings rates and our current economic situation. Beinhocker, Farrell and Greenberg illustrate this point, “The low savings rate and extensive liabilities of the boomers have left about two-thirds of them unprepared for retirement (2009).” If Baby Boomers are financially stable and confident in their successors, authority and title can be easier to relinquish. Beinhocker, E. D., Farrell, D., & Greenberg, E. (2009). Why baby boomers will need to work longer. McKinsey Quarterly, (1), 118-127. Retrieved from EBSCOhost. Garrity, R. (2010). Workforce Training for a New Generation. Power Engineering, 114(11), 18-184. Retrieved from EBSCOhost. There is reason for concern in regards to a massive exodus of the Baby Boomers from organizations. I do, however, believe there will not be this great departure of this generation from their current positions. The Baby Boomers are redefining what retirement should be as compared to previous generations. According to a survey in 2007 in the ABA Journal, 61% of Baby Boomers intend to keep working and earning into retirement and of those 48% would actually continue in their current field (Rose, 2010). Baby boomers will ultimately, “ ….feel an obligation to stay in order to fix discrepancies in leadership development” (Green & Roberts, 2011). Because of the “instant generation” of thinkers and decision makers of the Millennium generation, many Baby Boomers show concern of whether this generation can be effective leaders. Many Baby Boomers are shifting into “encore” careers which are jobs that combine income with social impact (Landau, 2010). Green, Daryl, & Roberts, Gary. (2011). Impending danger. Deer Park, NY: Linus Publications. Landau, M. (2010). Baby Boomers’ Next Act. U.S. News & World Report, 147(9), 12-20. Retrieved from EBSCOhost. Rose, Barbara. (2010). Not done yet. ABA Journal, 96(4), 36-41. Retrieved from EBSCOhost. Beginning January 1st, 2011 every single day more than 10,000 Baby Boomers will reach the age of 65. That is going to keep happening every single day for the next 19 years (The End of the American Dream/The American Dream). Not to fear, there is a way that organizations can cope with the mass exodus of Baby Boomers although they are the backbone of American business and represent traditional corporate culture. Companies might implement the model that Randstad, the self professed “workforce of the future” global employment services company is currently finding successful. Randstad pairs older, experienced employees together with newer, less experienced employee in order for them to gain from one another. Although generational differences can occur, they are left to work out their differences. They work together for several years before they separate. This same plan can be implemented almost anywhere. This experience is invaluable and would allow for the next generation of leaders to move into position smoothly and more quickly as the Baby Boomers retire at an age they are comfortable with 67, 70, or 73. If Baby Boomers have invaluable knowledge they want to share, the non-profit world will love to have them. By making changes such as these, Generation Y will be more satisfied in the workplace and, therefore, be more productive. Gilburg, Deborah. Management Techniques for Bringing Out the Best in Generation Y. (2007). There are many Baby Boomers looking to retire, will retire, forced to retire and those that will retire from one job and work at another just to have something to do. Companies are the stake holder of these cases with the boomers’ retirements. Paul Evans, a Worldwide Lead of Application Transformation Solutions at Hewlett-Packard states “79% of firms are challenged in hiring leadership skills.” Instead of waiting until now the companies should have been looking to have the Baby Boomers to train Generation X and Y’s so that there would be smoother transition. Can Baby Boomers leave authority and title behind since these things so easily defined many of them? Eastman Kodak company in Kingsport, TN keeps their retirees within a phone calls reach for the purpose of questions and answers that are needed. History shows us that the change of generational power has always gone well. These circumstances will be no different. Organizations and governments, alike, will be able to cope. Both Generations X and Y will be prepared to assume their roles. The dilemma arises out of the sheer number of Baby Boomers. According to author Edward Gordon (2007), “79 million baby boomers will retire between 2010 and 2020,” while “only 40 million members of the Generations X and Y are set to replace them” (p. 17). This suggests that Generations X and Y will have to be prepared to take on additional responsibilities during their managerial reins. It also beckons the thought that organizations will have to make a concerted effort to retain Baby Boomers past their anticipated departure dates. For many of them, such a thought should not be a problem – given their merger of identity and workforce obligations. What is more, as demonstrated by Mr. Jamie Martin, many of Baby Boomers are insufficiently financially prepared for retirement, which implies that they may welcome the idea of a delayed retirement. Gordon, E. E. (2007). Retiring Retirement: Mastering the Workforce Generation Gap. (cover story). Benefits & Compensation Digest, 44(7), 17. As outlined in a recent U.S. News and World Report article a 2008 survey conducted by San Francisco based Civic Ventures found that half of Americans ages 44 to 50 hope to move into an “encore career.” The company’s founder Marc Freeman, defines the term to mean “later-in-life work that combines income with social impact.” While many boomers will want to remain in the workforce may not necessarily want to continue working a forty hour work week. Many will want to have work place flexibility that would include part-time hours, more vacation time and remote offices. Many companies will want to embrace the boomers desire to continue working after tradition retirement ages, as a study conducted by Boston based Northeastern University predicts that once the current recession is over the United States will create some 14.6 million payroll jobs by 2018, while there will only be 9.1 million new workers to fill these jobs. Creating flexibility in the workplace might be one way to manage this workforce deficit that is expected in the United States in the next decade. Landau, M. (2010). Baby boomer’s next act. U.S. News & World Report, 147(9), 12-20. Retrieved from EBSCOhost. As you look around, many of the boomers have lost much of their retirement in the economy bust. There are some extremely compelling reasons to give the concerns of boomer employee’s top billing when the ends of their careers begin to wind down. So rehiring or retaining older workers may be a viable solution to short- and long-term staffing dilemmas experienced workers can troubleshoot, fix, and work with existing equipment, and they understand customer needs. In this way you begin to ensure that your experienced staff transfers its knowledge and skills to younger workers. You may want to use them in consulting roles to mentor the younger staff coming on board. An organization committed to capturing and transferring critical knowledge within their ever-changing workforce demographics is a company that can retain organizational knowledge and improve its workforce. According to Matlay, organizational leaders of today, managing multi-generational workforces, possess the opportunity to utilize knowledge management for strategic advantage. Indeed, growth-oriented organizations increasingly rely upon knowledge-based competitive strategies in which learning, innovation and continuous individual development play crucial roles (Matlay, 2000). Matlay, H. (2000). S/NVQs in Britain: employer-led or ignored? Journal of Vocational Education and Training, Vol. 52 No. 1, pp. 135-47. The video made valid points. Each generation has their winners and losers. Members of the Greatest Generation had their doubts concerning the Baby Boomers beliefs during the revolution of the 1960’s. But, the winners now own fortune 500 companies, and the losers faded off into mediocrity. The winners of the Baby Boomer generation have gone on to raise entitled Gen Y’ers. It is not right to blame Gen Y for not growing up when the leadership and practices of Baby Boomers created a depressed economy in which employment opportunities are limited and Baby Boomers still cling to their careers. This is not intended as an attack on Baby Boomers seeing that many retirement funds are suffering, and Baby Boomers are left to foot the bill for aging parents and children alike. The Greatest Generation earned their title by overcoming the great depression, defeating fascism, and building America into a global superpower. As a member of Generation Y, I believe the pressure is on. We have the opportunity to overcome a recession, terrorism, and the challenges associated with globalization. Baby Boomers have laid the foundations for most organizations but with the career comes the retirement. Organizations are aware that this generation will be leaving. Actually “almost half of the Federal Government’s workers (1.8 million) will be eligible for retirement within the next five years” (Inman & Inman, 2004). In preparation for this time, organizations have incorporated ways to retain their current employees born to the X and Y Generations. Organizations have incorporate work/life balance programs in order for their employees of the “now” generations to feel more satisfied with the jobs. The Baby Boomer generation prided themselves on being hopeful and idyllic in their positions and they challenge authority. The X and Y Generations want to be fulfilled quickly and need steady reminders of the reasons they are with their current job. This could be as simple as a “good job” from the boss or as complex as one job providing better benefits or growth opportunities. Employers are listening to this need and are preparing for this emerging generation while shedding the skin of the Baby Boomers. An essential element of dealing with the mass exodus of valuable experienced Baby Boomers is to be aware of what’s happening that your best people will be retiring and then to begin your planning early. Though they’ve left the workforce, many retirees still want to be productive, so among those who’ve already retired, the trend for many is to develop their own businesses. As a consequence, they not only leave an enormous vacuum of talent when they leave, but they can also become your competition. 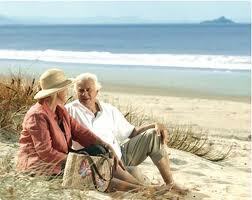 Offer retirees part-time or consulting arrangements. Older, more experienced workers have “done their time” and often don’t want to work full-time anymore.